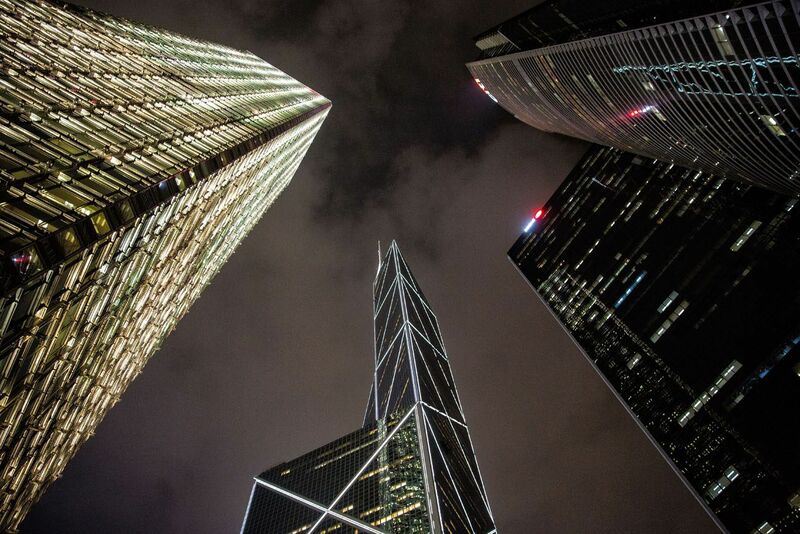 Hong Kong is an amazing city and one of our favorites so far. 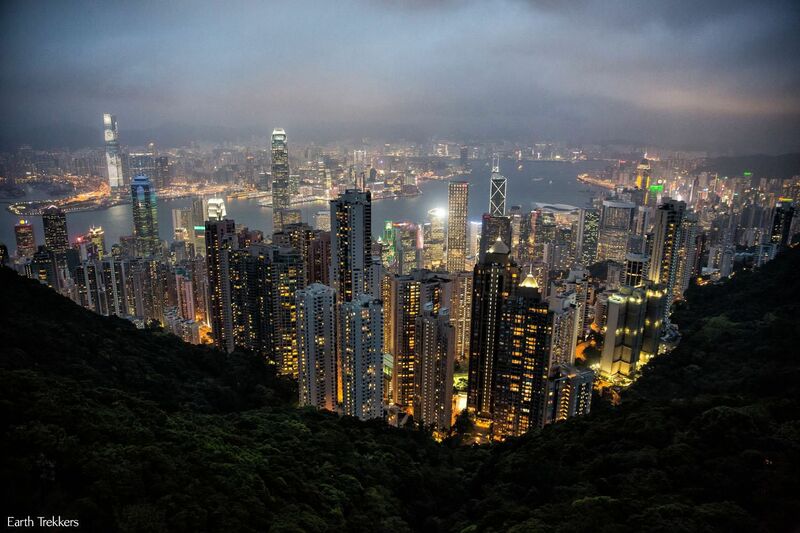 It is hard to beat this skyline…a forest of skyscrapers with a backdrop of mountains. 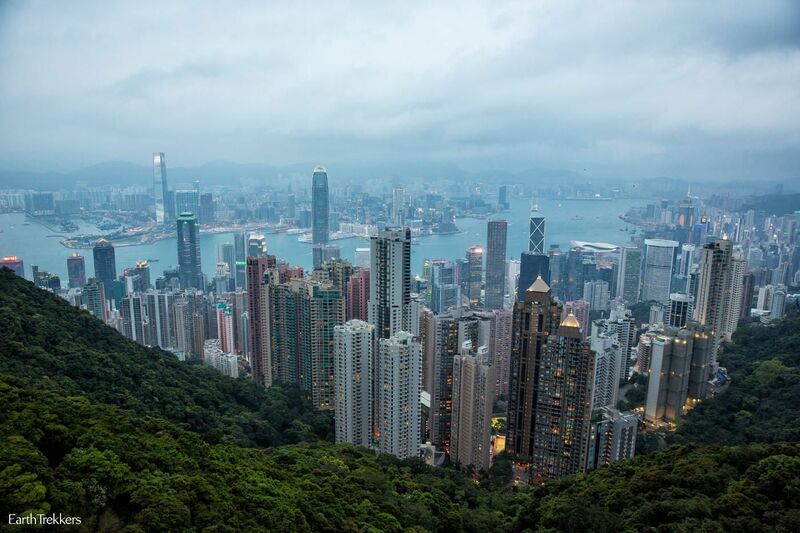 The view of the city from Victoria Peak is hard to beat. 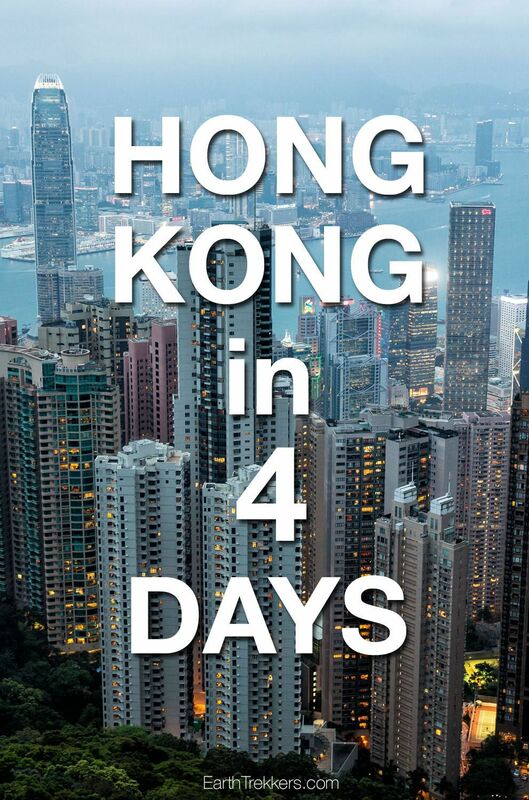 With four days we were able to tour part of the city as well as take day trips to Disneyland and Macau. What we missed out on were some of Hong Kong’s hiking trails. Believe it or not, Hong Kong has some great hiking trails and this is a reason for us to return again someday. Here are some photos from our best (and worst) moments during our four days in Hong Kong. We rode the metro a lot. Somedays it felt like this was all that we did. Ok, not really, but we did log a lot of hours here. We were staying at the Courtyard Marriott located away from the city center, making these metro trips a necessity. 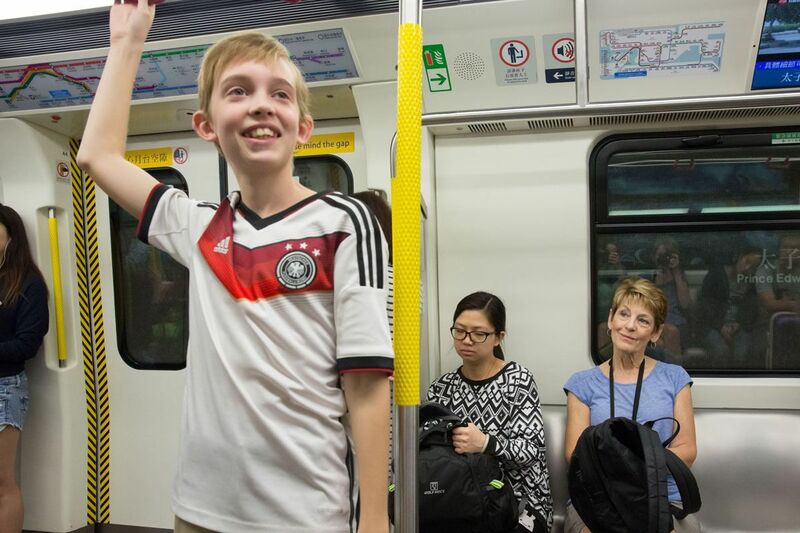 Fortunately, the Hong Kong subway system is fast, efficient, and spotless. Some trains actually smelled like bleach. Here is a typical subway station sign. 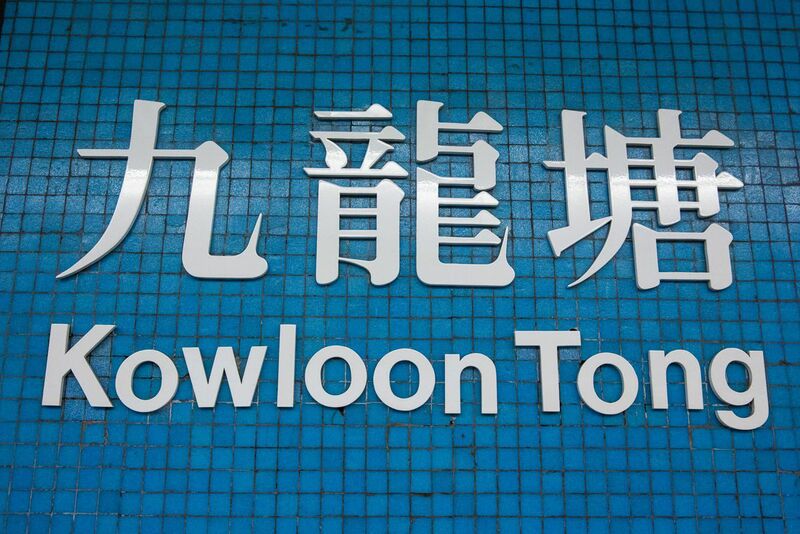 To get to downtown Hong Kong we traveled through Kowloon Tong a lot. 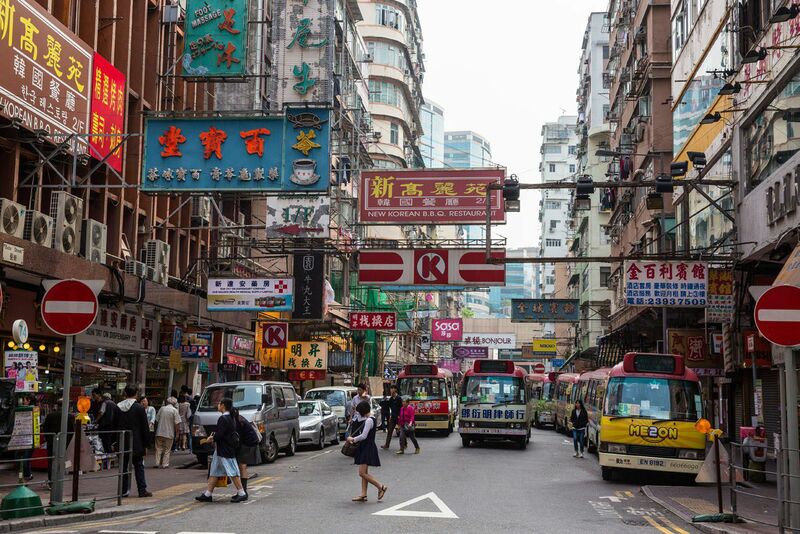 Hong Kong is a very modern city but it has its older, charismatic areas as well. 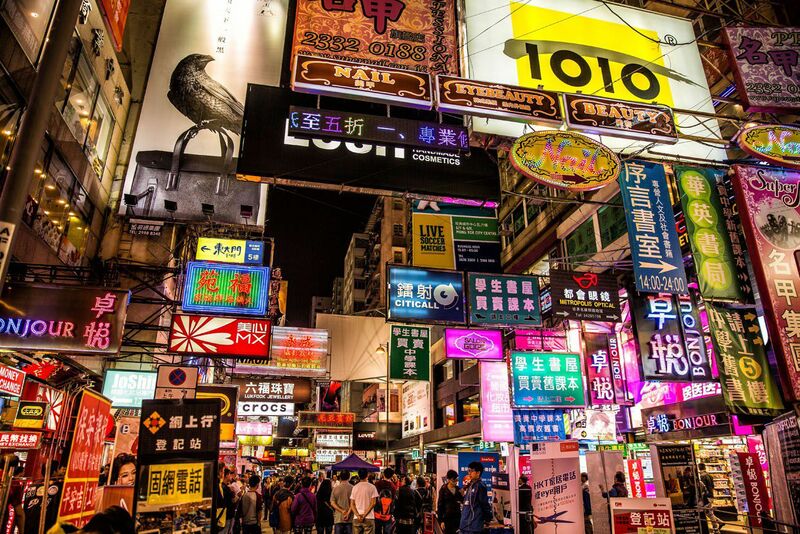 Mong Kok is an area of old and new, an area plastered with neon signs. 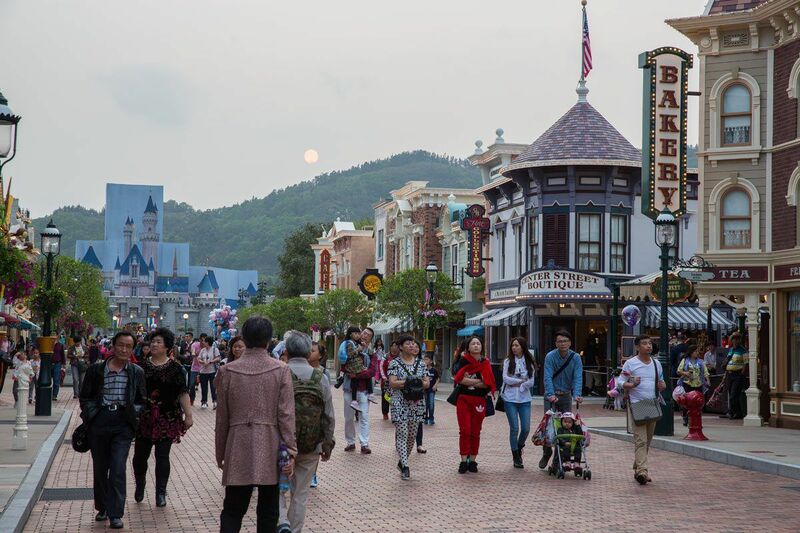 When you see Hong Kong in movies, this is one of the areas that is featured. 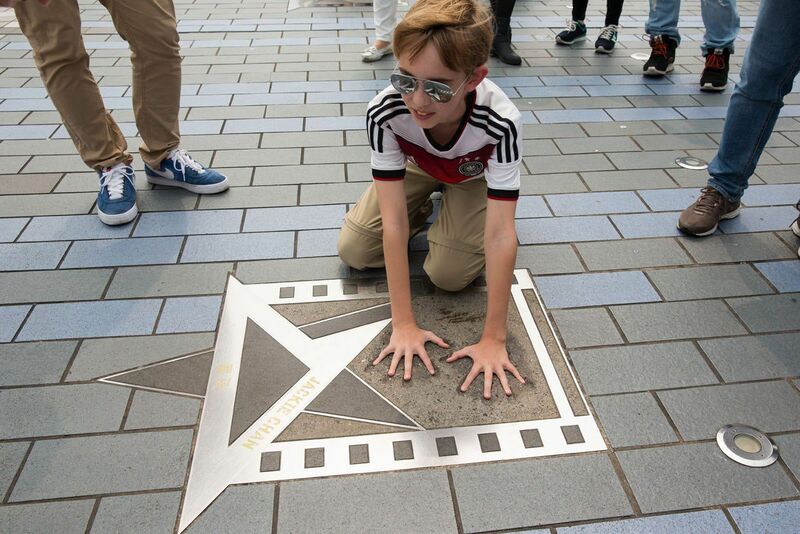 At Hong Kong’s waterfront, which is massive, there is a short walk called the Avenue of the Stars. This slightly resembles the Hollywood version, only here the featured actors are Asian and the views over the water is to Hong Kong’s amazing skyline. We recognized only two actors here, Jackie Chan and Bruce Lee. Come for the views across the water, amazing! 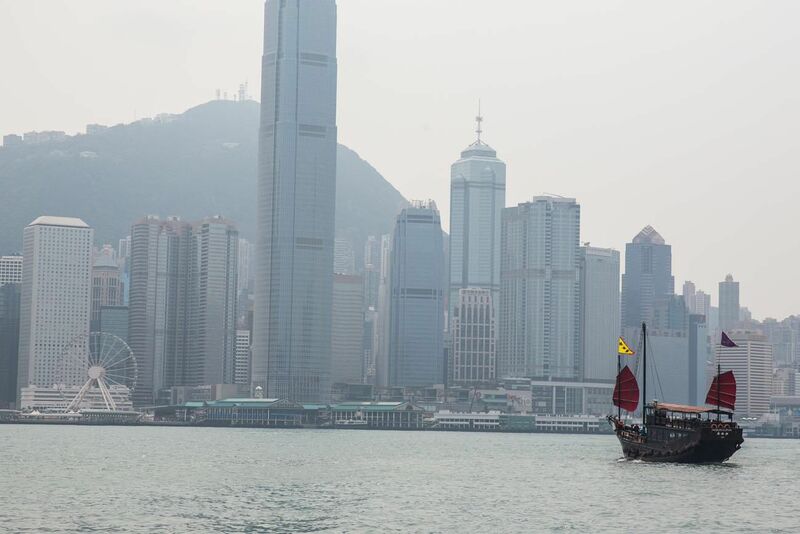 Our weather was decent while in Hong Kong, warm without the threat of rain, but it was almost always cloudy or hazy. 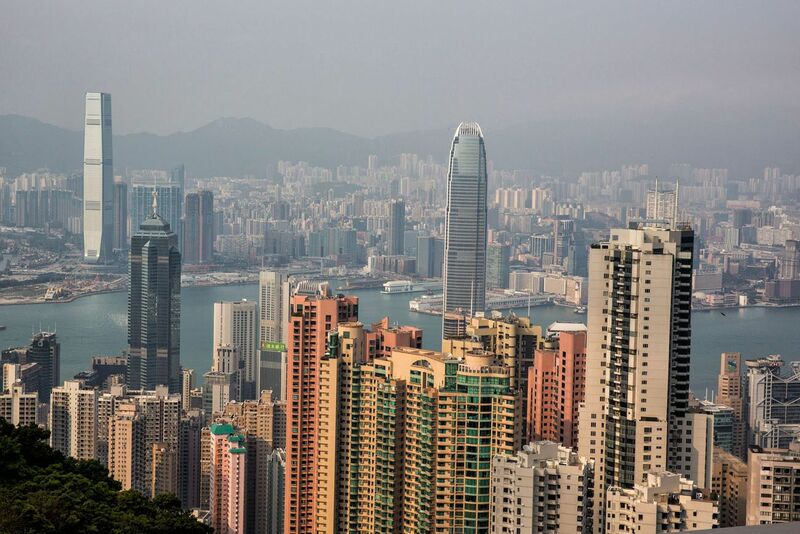 Here are some of the best views we had while in Hong Kong. 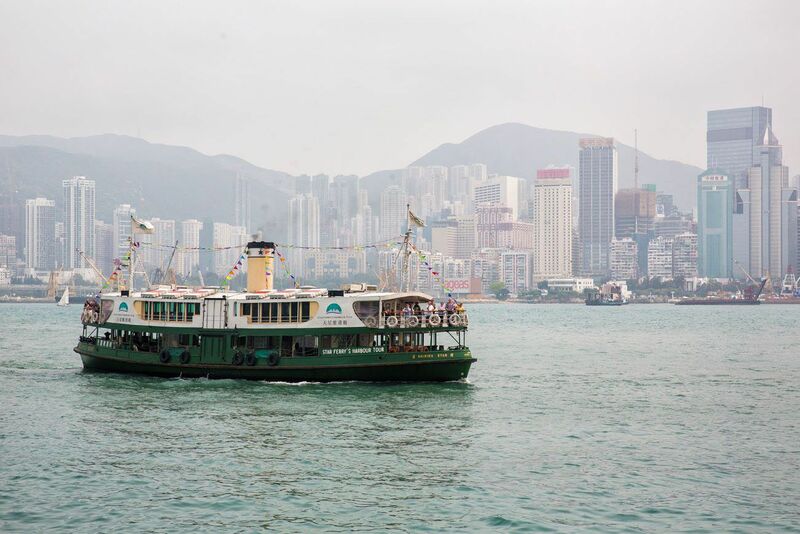 A ride on the Star Ferry is a must while visiting Hong Kong. 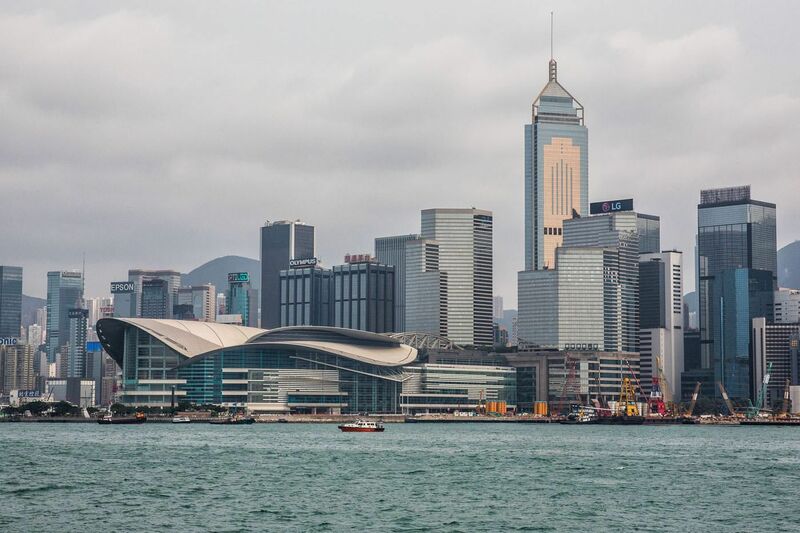 This super cheap transportation shuttles hundreds of people back and forth between Hong Kong Island and the mainland with the bonus of amazing views. 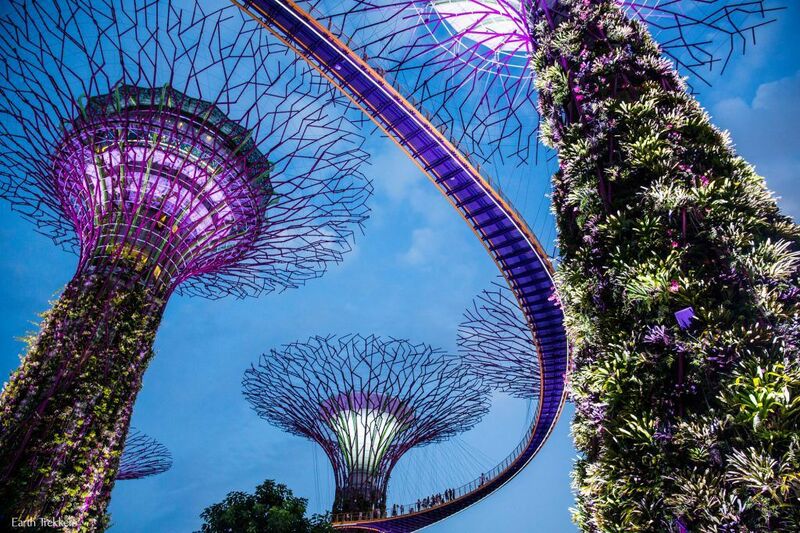 Sure, you can take the metro that travels underground, but would you want to miss these views? What else can’t you miss during a visit to Hong Kong? Taking the Peak Tram up to Victoria Peak for the best views of the city. 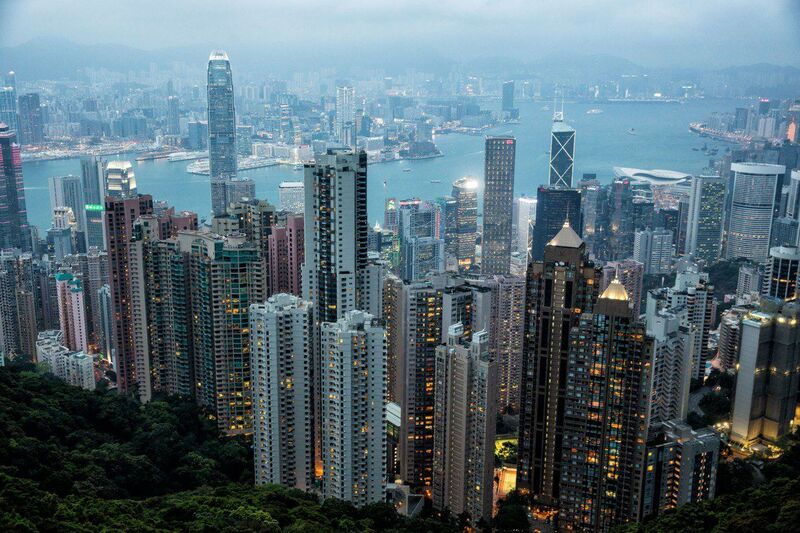 It is from here that we really got a feel for just how big Hong Kong really is. This is one of my favorite skylines in the world. 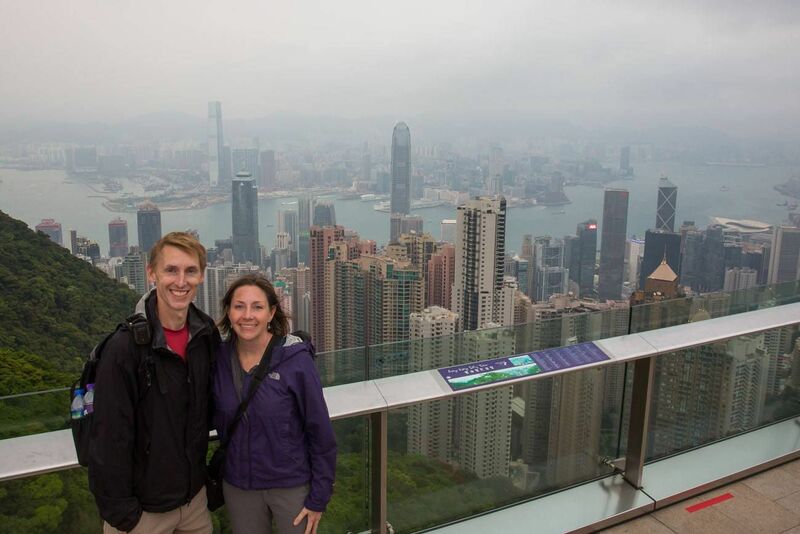 We watched the sunset from Victoria Peak, one of my favorite moments of being in Hong Kong. While walking back to the Star Ferry we took some photos of the skyscrapers towering over our heads. This is one of my favorites. 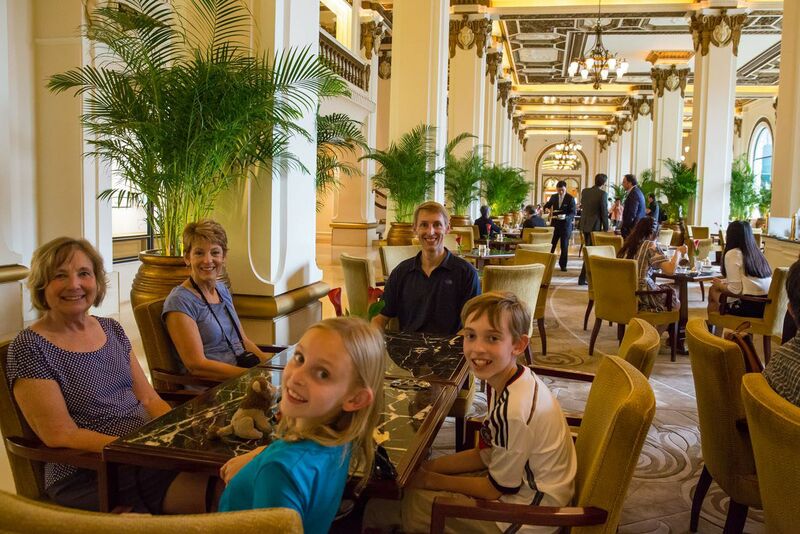 The Peninsula Hotel is one of Asia’s finest and we stopped in here for drinks one day. While a string quartet played music from a balcony over our heads we drank cappuccinos, tea, and milkshakes. Kara said it felt like she was on the Titanic. 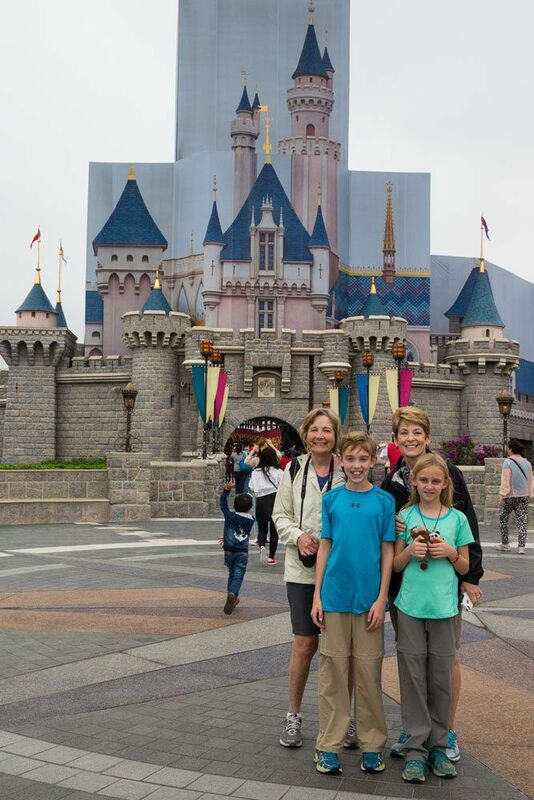 We spent a day a Disneyland. This was something that we seriously debated doing, having had our fill with Disney parks when the kids were younger. 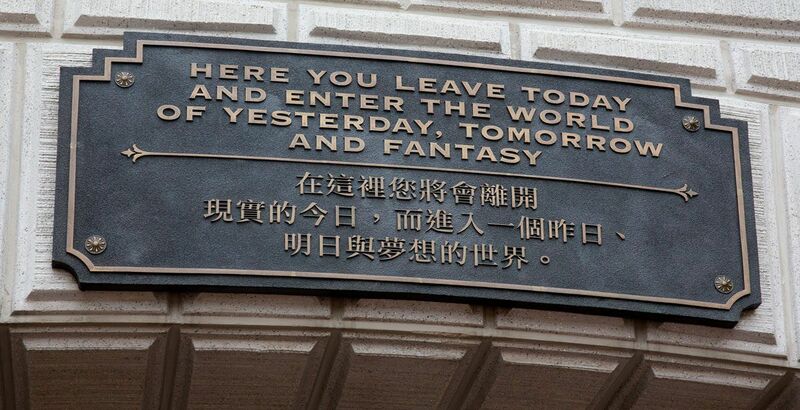 But there was something cool about going to Disneyland in Hong Kong, right? Well, we all had a great time, adults included. There definitely were some differences here compared with Disney World in Orlando. For one thing, the Hong Kong park is Disney’s smallest park. We were here on a Sunday and there were almost no lines for the rides, one of the things that made our visit so pleasant. 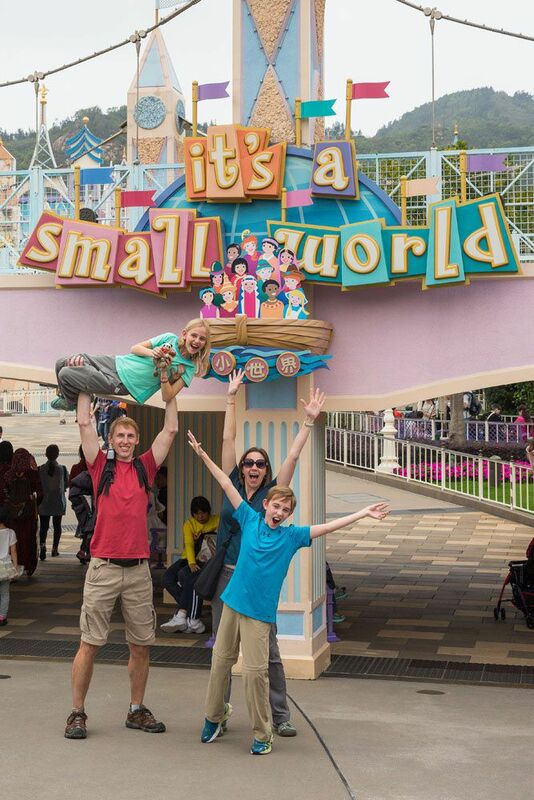 Everything is smaller here…Main Street USA, the castle, the different areas of the park. 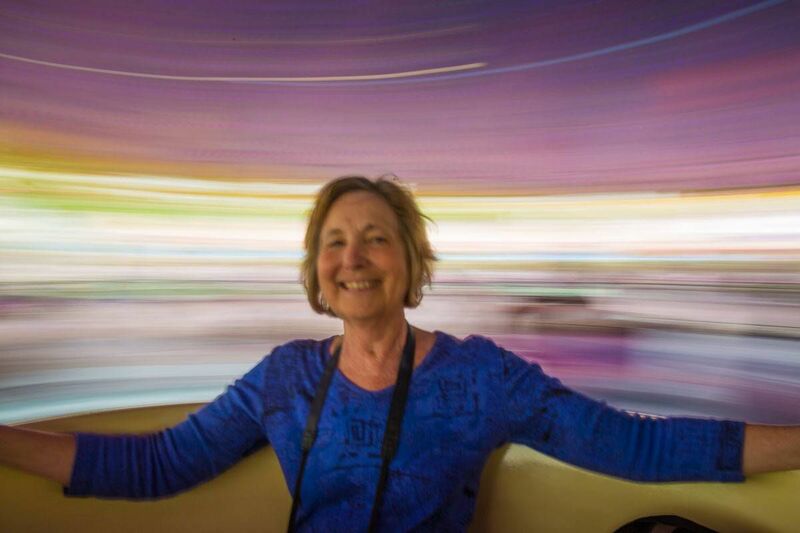 There were some of the same rides that we were so familiar with, like Space Mountain, It’s A Small World, and the Teacups, but each ride was just a little bit different. Space Mountain wasn’t quite as good as the one in Orlando whereas It’s A Small World was so much better. There was also scaffolding on the castle and a portion of Main Street USA where the buildings were being refurbished. Most restaurants sold Chinese food although we found one place in Tomorrowland that sold burgers and french fries. Here and there Disney characters were out for photos and autographs. 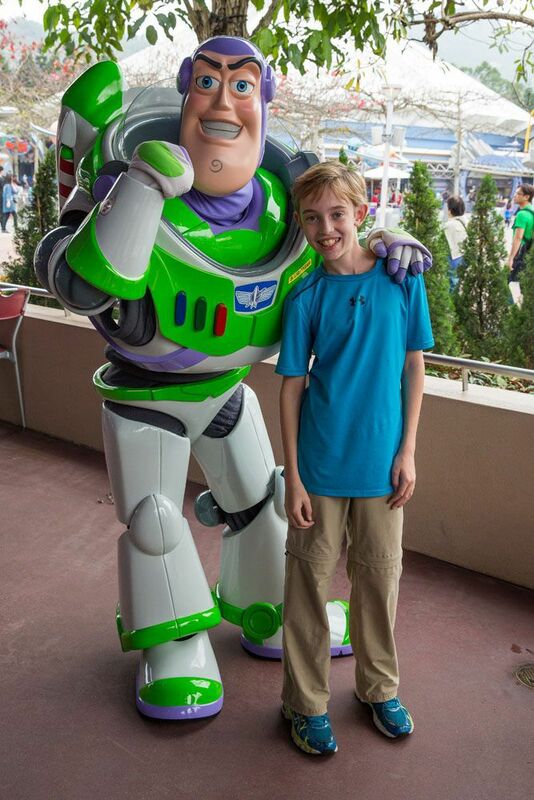 We were lucky enough to find Buzz Lightyear. For those of you who don’t know, Tyler was once a HUGE Buzz fan. Between the ages of two and six Tyler was obsessed with Buzz Lightyear and I think we owned every possible Buzz Lightyear toy, article of clothing, and miscellaneous object associated with this popular Disney character. Being here in Disneyland with moments like these brought back all kinds of memories of when the kids were young and our big trips were to Disney World. How times have changed. Our day at Disney was tons of fun. Tyler and Kara appreciated the break from sightseeing, having some time to just act like kids again. 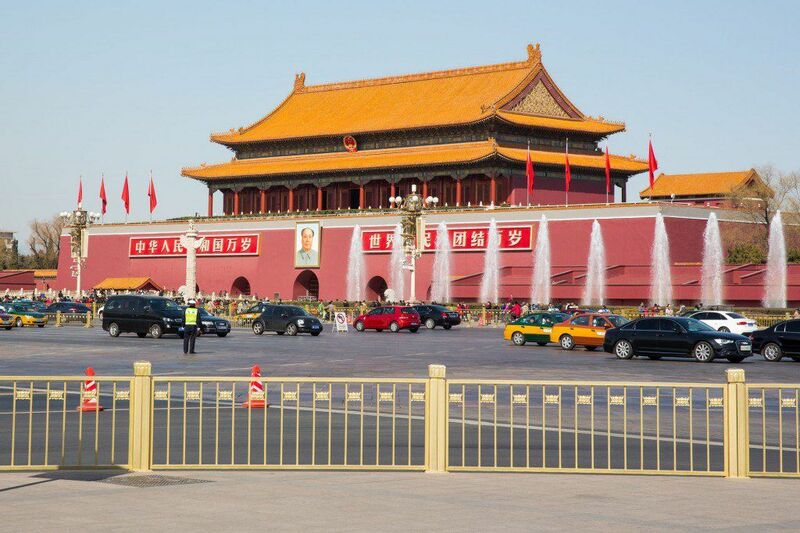 What we did next, a day trip to Macau, was in my opinion a complete waste of time. It was torture. We took a long metro ride to a one our ferry just to get there and back for a three hour one way journey. 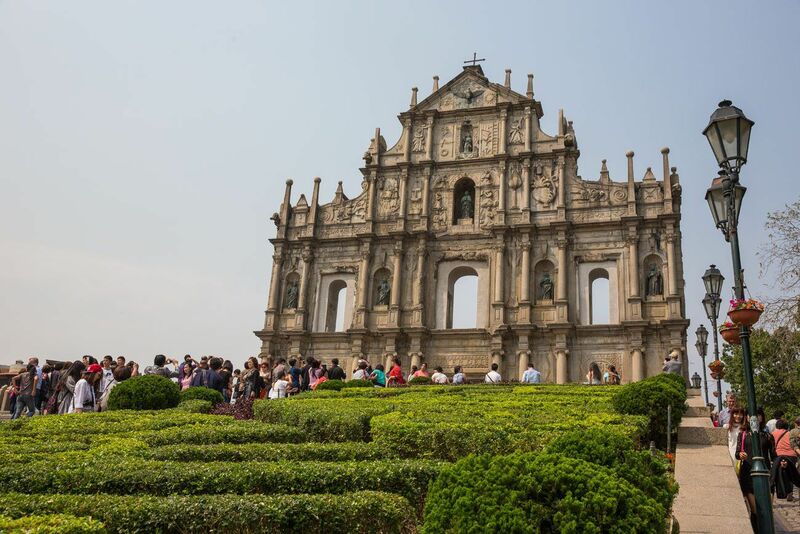 Why go to Macau? For its casinos and historic Portuguese areas. When visiting the Portuguese areas I was expecting a bit of Europe…old buildings, sidewalk cafes, coffee shops. Instead, we saw huge crowds of people, so many that it was hard to just walk around. There were no European cafes, only more of the same tiny Chinese style restaurants that we had gotten so tired of. It was a huge disappointment and did not come anywhere at all close to our expectations. We wandered through the Venetian after lunch, paid a quick visit to the Hard Rock Hotel, and then took the long journey via ferry and metro back to our hotel. We should have chosen one of Hong Kong’s many hikes over a trip to Macau. The only positive that came of this day is learning that I never need to return to Macau again. From Hong Kong, Kathy and Valerie flew back home and the Earth Trekkers continued onto Taiwan. Our journeys continue in Taipei, and spoiler alert (as Tyler would say) Taipei is another amazing place. 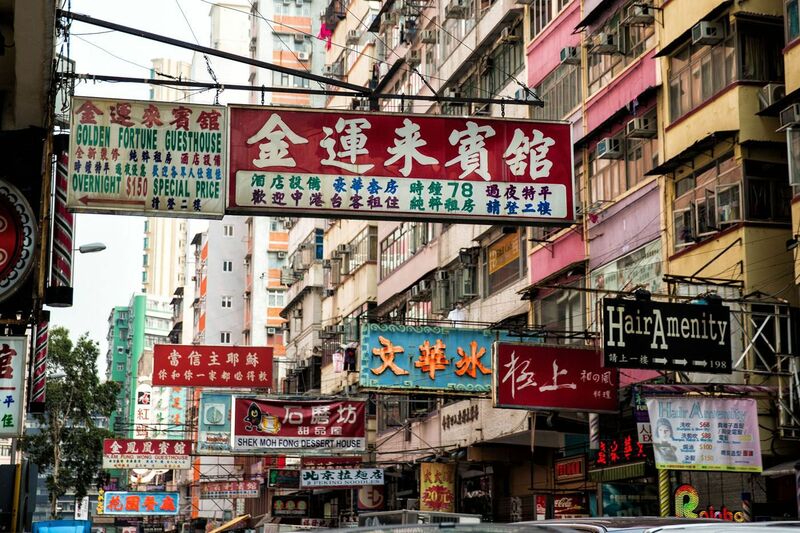 Think miniature Hong Kong with some of the most amazing places to eat yet. And we even would get to do some hiking in here! While it took a little while to get to from where we were staying, we thought Lantau Island was a nice addition though on a future visit we’d like to get out to some other islands too, maybe on the east side. 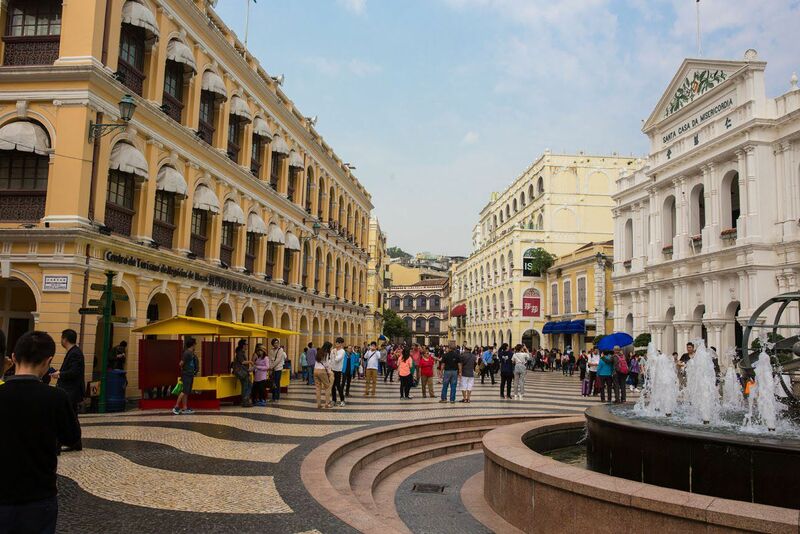 Macau was definitely one of the most crowded places we’ve seen! Hi, We are travelling to Hongkong in the first week of January, 2019. We are booked for 3N in HK and 2 in Macau. However, going by your experience i feel i made a blunder there. I opted for 2 days in Macau as i heard about many beautiful shows that are conducted in hotels for kids. This trip is mainly for our 7 year old to enjoy. What else would you suggest we should be doing? I found your site by accident. I am very impressed that your family have done so much! 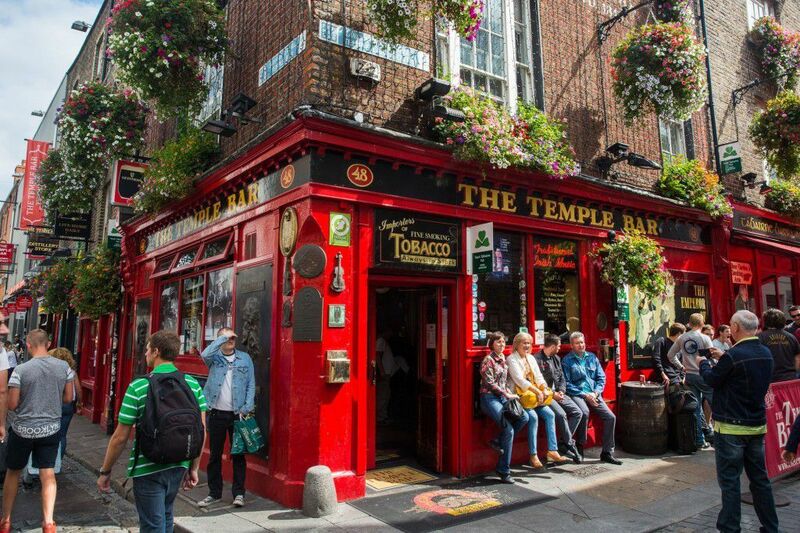 love you website and information on your great travel. I did not see any info. on hotel that you have stayed at and how much did you pay? 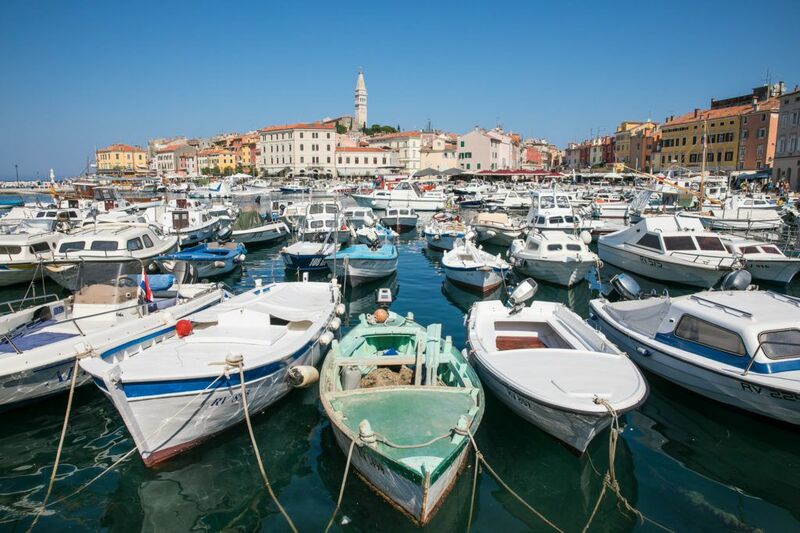 Your travel experience is exceptional valuable to me. I love Hong Kong. Po Lin Monastery is a very nice and calm place to relax. Disneyland (although missed it) is definitely meant for those who want to feel like little kids again. 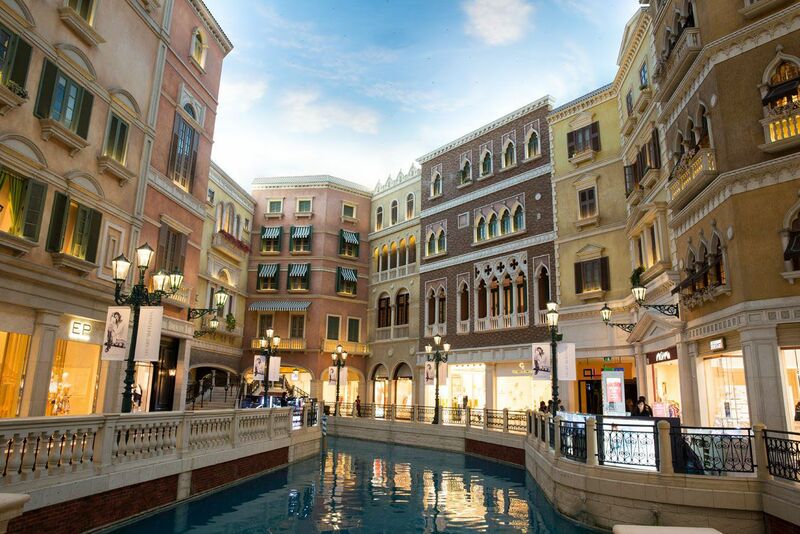 Macau on a weekend though is not recommended. I was there on a weekend and Senado Square was packed.